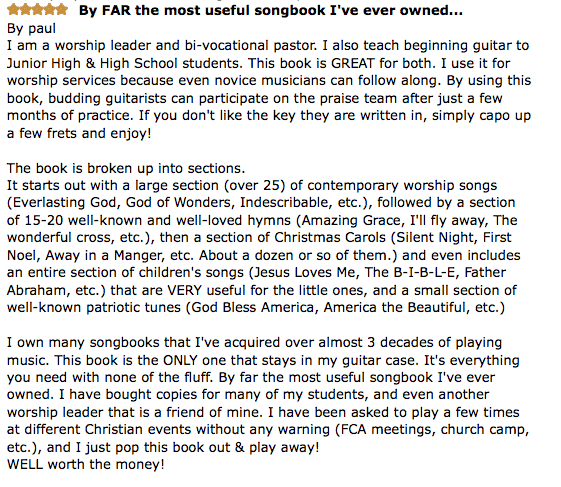 Worship Guitar Songbook Third Edition- Buy on Amazon! 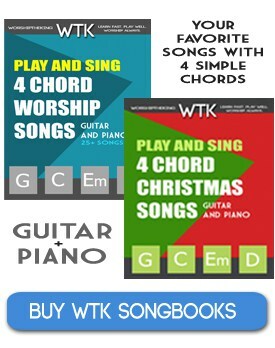 Worship Piano Songbook Third Edition – Buy on Amazon! It is easy to play all the great songs with simple chords like G, C and D. With my songbooks, you will never have to play barre chords or use more than 2 sharps on piano! You don’t need a single barre chord to play any song in this book. Finally!!! You can have the best modern worship songs, hymns, kids songs and Americana songs all arranged in the easy-to-play keys of G or D. You will use it every time you play with your band, lead worship or have a campfire jam. I am adding new strum along videos all the time. Check out the playlist here to strum along with the videos on YouTube! It has never been easier to play your favorite songs on guitar or piano with simple chords! I spent many years searching for the best chord charts while preparing for weekly worship services but I became frustrated with most charts because most charts published seem inaccurate to the real life song (the way that the artist would actually play the song on stage). Also many charts include unnecessary chords that get in the way and make it hard for most musicians to actually sound good playing the song. That is why I have written these simple, accurate, and easy-to-play charts. Using my charts, you can play these great songs with 4 simple modern chord shapes on guitar or piano. My simple one-page charts will help you play with ease and help you put more focus on what really matters… worshiping God! The easiest to play and and most accurate chord charts are now in one amazing book! 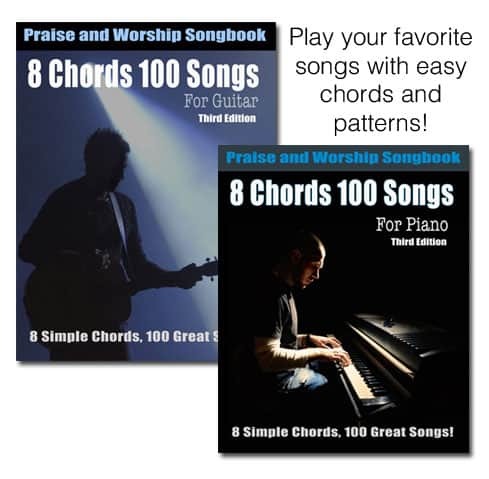 The best songs from one of the most successful Christian worship artist are now easy to play on guitar and include simple chords and rhythm slashes to help you know exactly when to change chords. 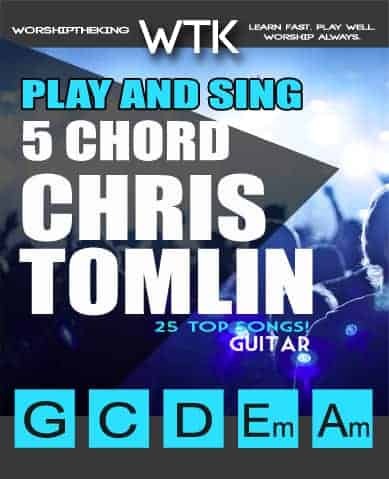 This songbook is perfect for performing or playing your favorite Chris Tomlin songs with simple chords with easy-to-follow rhythms. I’ve made learning guitar FUN and EASY! I will show you how to overcome all the obstacles and get you playing your first full song in less than 30 days. You can lay down the doubt and the struggles right now! Come along with me on an amazing journey today!